Creating a peaceful and calm home is one of my priorities, however each room must be reflective of the personalities that inhabit them and then come together cohesively as a whole house. Children’s rooms can be neglected, after all their interests wax and wane over time and keeping up with those trends or fads can become expensive. Merchandise is cleverly marketed to children, not you and so if your littlest is Barbie – mad you can be sure he or she has seen all that is available and having a room that resembles the scene of the movie can become an obsession… for a while. Your investment in your kids bedroom furniture should be approached with caution, while it is easy to think that this furniture will last a lifetime you need to remember that children outgrow items such as beds just as they outgrow their clothes, so look for solid and safe pieces with not too outrageous price tags. After many years working as a qualified Kindergarten Teacher I am able to share some advice on creating a special space for the younger child that is indicative of who they are, their interests as well as a room that will embrace them holistically; nurturing their social, emotional, cognitive and physical development. Keep the general palette restful, use a neutral for the the walls and add in colours in accessories or feature walls only. Natural timber can be a great source of texture as well as being restful and soothing. Use rugs to define what is play space and what is rest space. Bunk beds can offer important left and right brain connections when climbing up and down the ladder, crawl tunnels offer a similar outcome for younger children. A book and display shelf is essential to nurture language. Keep toys neatly sorted and stowed in baskets, this promotes sorting and helps with early mathematical skills. Children will enjoy rest periods with bedlinen that reflects their interests. Look for items that offer a dual purpose such as a toy box that can be used to store and to sit upon. Wall art can offer learning moments and repetition; such a items that can be counted, items that allow you spot the differences, name colours and label shapes. 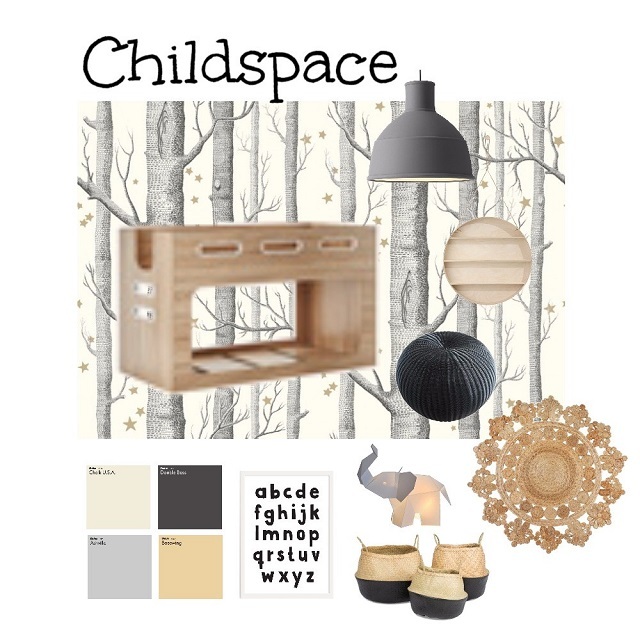 A nook or hidey area allow children to practice role play and use their imaginations. Have a varied amount of light sources and use dimmers to create cozier spaces during rest times and brighter during play times. Use window coverings that protect from light and provide warmth. A desk or a small chair and table allow children the chance create.